Common knowledge suggests anti-virus software is essential if you want protection from viruses, malware, and other malicious content you leave yourself vulnerable to by being connected to the internet. Without such protection you could have files deleted or corrupted and personal information stolen – potentially costing you time, money and irreplaceable documents. While AV software is definitely recommended for most computer users, it’s important to understand that sometimes software alone is not enough – vigilance is needed while on the internet. Even if you keep away from dodgy sites, you could be at risk. For example, a lot of malware is installed voluntarily. You might be told you need a plug-in to watch a video you come across – downloading a file from an untrusted source with no hesitation is a recipe for disaster. 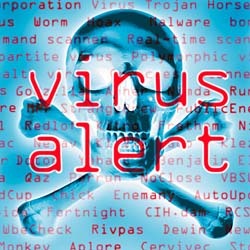 Is Your Business Protected Against Malware? When it comes to businesses, the question of whether AV software is essential becomes more complicated. People looking to attack businesses will anticipate the strong defence that AV software provides and write a program looking to bypass this. Some security experts believe that while AV software is valuable, money can be diverted elsewhere to better use – to data analysis for example. Requesting that your bank authorise big money transfers is a free way of increasing your protection. For a long time there was a myth that Macs simply couldn’t be attacked by viruses. That’s never been true – it’s just been the case that since most people used PCs it has been more fruitful to write programs that focus on the Windows operating system. At the moment opinion is divided on whether Mac users need AV software, with most people believing that as long as you’re being cautious on a Mac you should be fine. However, with a growing user base, if you’re using a Mac you should be aware of the potential for attacks in the future. Anyone without extensive knowledge of PCs, the internet and security vulnerabilities should consider AV software essential. And remember, AV protection doesn’t have to be expensive – free software such as Avast claims better detection than paid products such as McAfee and Norton, meaning there’s no excuse not to take precautions. This post was written by Carl Felton – a hosted virtual desktop expert from the UK.